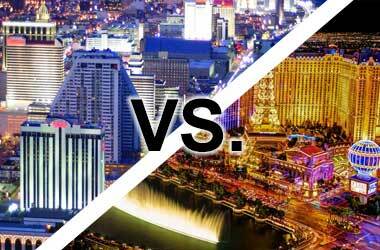 Las Vegas and Atlantic City are unarguably the two gambling meccas of the United States of America. Both the cities offer visitors a wide variety of casinos, bars, fine dining options (and wedding chapels!) to choose from. They are super accessible, have plenty of hacks around to get a good deal, and have a notorious reputation of making people forget their worries, drink with abandon, and take decisions they’ll regret the next morning. Regardless, gamblers can be seen flocking the two places all round the year. Even though the two gambling towns are pretty crazy with a colorful nightlife in general, they are often pitted against each other in some key differences that set them apart. 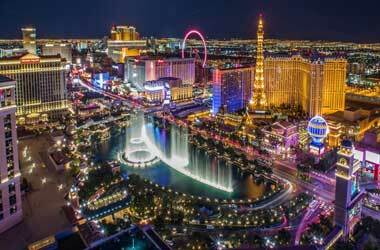 It is general knowledge that Las Vegas is more thriving in terms of people and revenue. The Sin City has higher chances of accommodating people within budget since it houses more hotels, resorts, and lodges than Atlantic City. Vegas is bigger and has more choices in everything, including casinos like the well-known New York, New York. However, this also means that Vegas keeps more crowded at any given time. The place features a famous stretch of road called ‘The Strip ‘ located in the South Las Vegas Boulevard which is home to about 40 casinos. Another key element of Las Vegas is that it is bearable in winter. This also hugely contributes to keeping its business running round the year. On the other hand in Atlantic City, it starts lightly snowing in winter which leads to the place becoming a predominantly gambling town during the indoor season. This serves as a technical advantage for Vegas, and for the people choosing between the two cities in this season, it become a default choice with its glorious sunshine and warm dry heat. What takes Vegas a notch higher is the fact that it is always brimming with energetic lights. The charm of its bright neon streets surpasses that of Times Square in New York. This gives Vegas the big city feel that is always busy and abuzz in action. To top it all, the vibrant and innovative level of entertainment in Vegas is unmatched across the US. Guests from all over the world throng the place especially to catch a production of Cirque du Soleil or visit Planet Hollywood with its resident singers. Visitors can also walk down to the Bellagio to watch the musical fountains. In downtown Vegas, one can also experience the epic Fremont Street and the LED canopy, among other casinos and restaurants. The biggest hotel-casino giant in Vegas is called the MGM Grand. This top-ranked establishment is also the second-largest hotel in the world. 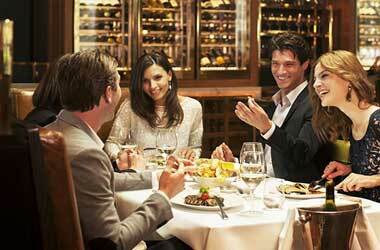 It features high-end cuisines from the finest chefs in the world, five swimming pools, over 6,000 luxurious guest rooms, eight Vegas nightlife hot spots, top-tier shows, and the famous MGM lions at the Lion Habitat. Then again, there’s the Bellagio, Planet Hollywood, and many more. The spectacular casino at the MGM Grand offers some high intensity gaming action. 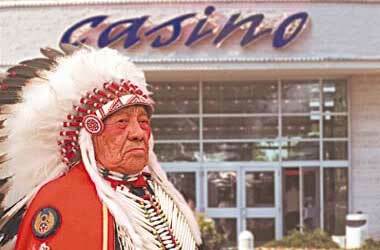 It has plenty of tables for gamblers to play Blackjack, Pai Gow, and Craps, and over a 1,000 slot machines from denominations ranging from $0.01 to $1000. Some of the world’s most talented poker players are present in this casino. People can also enjoy some pretty amazing entertainment in the hotel. This can include the Billboard Music Awards, a pop festival with Bruno Mars and Taylor Swift, and parties where super diva Madonna is present along with regulars like David Copperfield. And this will only be getting you started. Maybe due to popular culture that never misses the chance of projecting Vegas as this place with over-the-top entertainment, there is this inexplicable high energy in the city that just demands attention. The lights, the casinos, and the hotel suites, all of it contribute to Las Vegas remaining a hot favorite for avid gamblers. Due to such diversified elements, Vegas has also been steadily growing in terms of number of visitors. The most important factor that sets Atlantic City apart from Las Vegas is that it has beaches. This tiny little aspect is the prime reason for competition between Las Vegas and Atlantic City, because not only does the city have beaches, it has free beaches. This single-handedly sets Las Vegas far back in choice since beaches are preferable to deserts and can be used as really cool rejuvenation sites between all the gambling and getting drunk. 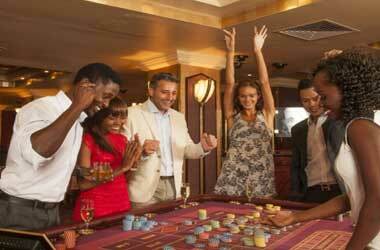 It is an addition to the getaway experience and a welcome respite after all the money spent in gambling. It is interesting to see that even though beaches have nothing to do with gambling, they are heavy influencers in attracting gamblers. In this regard, the most famous spot in the city is the Jersey Shore that comprises a beautiful view of the ocean. The popular Atlantic City Boardwalk along the ocean gives the city a peculiar vibe which is much sought after. It provides a holiday festival feel to the people. There are seven major casinos in Atlantic City like Bally’s Atlantic City and Caesars Atlantic City. They are mostly located on the iconic Boardwalk and are within walking distance of each other. During the summer, the city has an overall nice resort feel with the Boardwalk and great beaches. Another thing that sets Atlantic City apart from Las Vegas is its Pedicabs. These are small vehicles like rickshaws that are manually wheeled on and can help people reach nearby destinations on the Boardwalk. Pedicabs enable tourists to reach their fancy casinos without having to tiring themselves out in heels even before the night starts. The city is also big on its musical scene and offers outstanding recreational enjoyment. Places like the Golden Nugget and Harrah’s Resort host singers and headlining comedians regularly. This is accentuated by the touring musicals and shows like Thunder Down Under. The top-rated and the largest hotel-casino in Atlantic City is the Borgata. This premier accommodation is a joint venture between MGM and Boyd Gaming and offers over 2,000 luxury rooms, world-class restaurants with fine wine, and several thrilling shows. The Borgata houses a marvelous casino that is 161,000 square feet in area. Visitors can get some major gambling action with over 4,000 slot machines and hundreds of table games. The casino is also known for its world-class poker program and is big on daily high-stake tournaments. It is the prime venue for the World Poker Tour. At the Borgata, visitors can also catch entertainment shows by stalwarts like the Rolling Stones, Mariah Carey, Sting, and Eric Clapton. Other entertainment options include burlesque, comedy, and rock genres in venues with up to a seating capacity of 2,400 people. The place offers the best entertainment in Atlantic City. In contrast to the free beaches, tourists can also indulge in fine dining and high-end shopping options. This comes in handy when people want to take a break from an extensive day of poker. Known for its local delicacies like Salt Water Taffy, Atlantic City gives a unique spin to tourist experience. These traditional treats act as a perfect add-on to a fun evening. During the peak season, the place is filled with people trying their luck at minting some gambling money. There are several other factors that come into play while both avid gamblers and rookies choose between the East Coast and the West Coast. Some believe that while Atlantic City tends more towards being a day trip with beach action, Vegas is more of a staycation. Some take into consideration the welcoming environment, the glorious thrill attached to the surroundings (casinos aim at visually softening the blow of a lost hand), or simply the respective proximities of the cities from their hometowns. Some professional gamblers also base their decision on which city has so far brought them the most amount of luck. 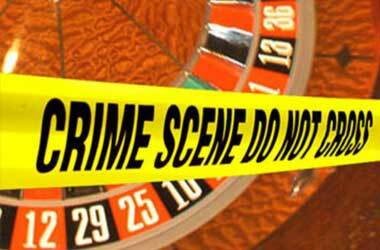 This is often related to their stand at the online gambling scenario. For example, if a gambler has been highly invested in CaesarsCasino.com and the virtual boardwalk, he is most likely to visit Atlantic City. Whether they test out their odds at Spin the Wheel, bank upon lucky slot machines to hit the jackpot, or a trust a hot pair of dice rolls, one thing is for sure, all gamblers, even the casual ones, experience both the cities at least once in their lifetimes.